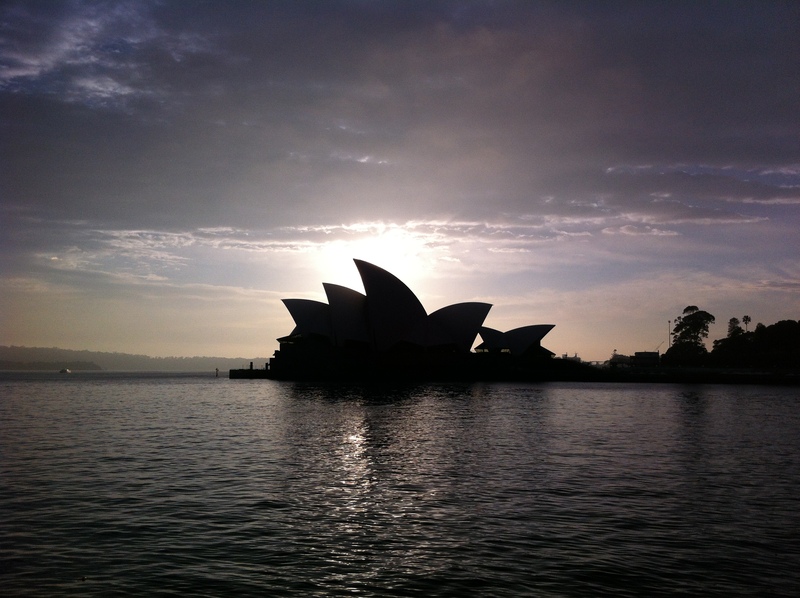 I just returned from a business trip to Sydney, Australia, and Auckland, New Zealand. My second time in Australia, my first in New Zealand. I had a great time visiting with clients, colleagues, and seeing the sights. Below are some highlights of my trip. In Sydney, I stayed in a hotel right by Circular Quay, which made it ultra-convenient to hang out at The Rocks, get to the ferries, and get great views of the opera house and the harbor bridge every day. The weather was fantastic. Roughly 80 degrees Fahrenheit every day, blue sky, and light wind. Since I planned to be outside pretty much every chance I could get, I couldn’t have hoped for better weather. No tourist visit is complete without spending some time at The Rocks, which is history, tourism, pubs, food, and shopping all in one place. 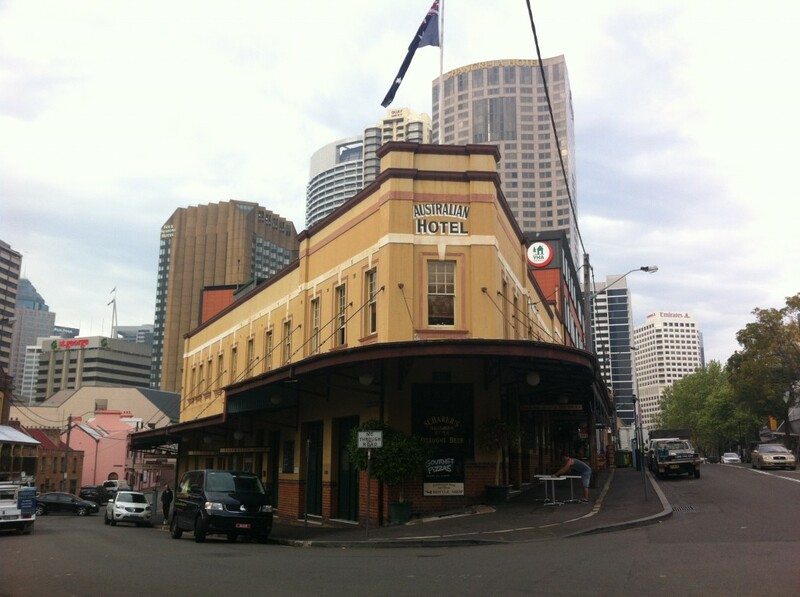 I spent time at Phillip’s Foote (grill your own slab of meat), The Australian Hotel (wide beer selection, awesome pizza), and saw a bizarre-but-good U2 cover band at The Orient Hotel while enjoying a $7 Guinness, the cheapest beer I found on my trip. We ‘mericans are spoiled by good beer that is relatively cheap. I also stumbled across some artwork that basically blamed the colonial revolt by the Americans in 1776 as the reason why Australia became a dumping ground for convicts in the early 19th century. England needed to find another home for them after their convenient offshore prison across the pond was no longer available. I had never made this historical connection before. Is it valid? 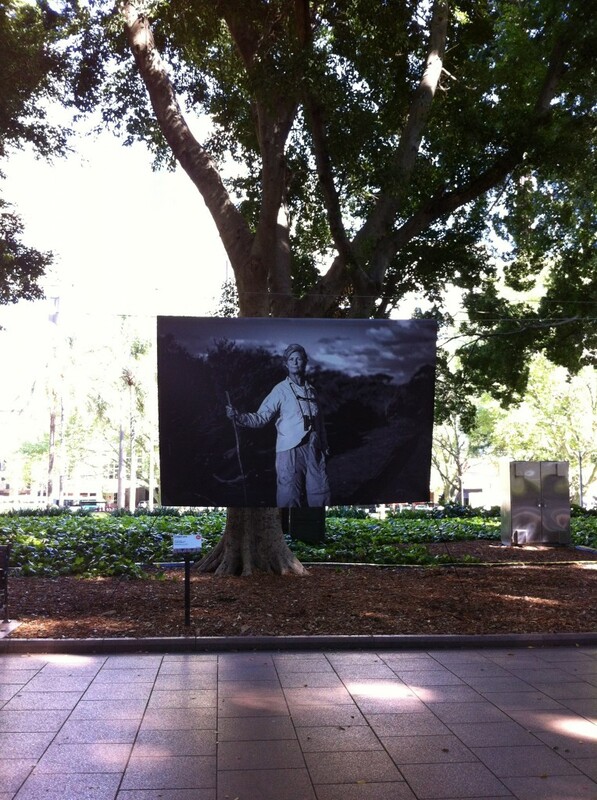 A large park adjacent to Elizabeth Street, and right next to our office there. There was a large protest there the prior weekend, not a good time to be there for a tourist. Fortunately, the immediate turmoil had died down by the time I was there, and there was a neat photography art exhibit on display. Lots of families out enjoying a lovely spring equinox. As it should be. Everybody knows the opera house, and it’s quite impressive in person. It’s hard to avoid filling up your camera with photos of this thing from every angle. I did take the guided tour inside, which was interesting, but not necessarily awesome. Much of the history can be learned on your own, and probably the best way to experience the interior (which has several theaters / performance halls) is to just get tickets for a performance. There are over 1000 performances there each year! Another view, close-up. The tiles are really interesting. 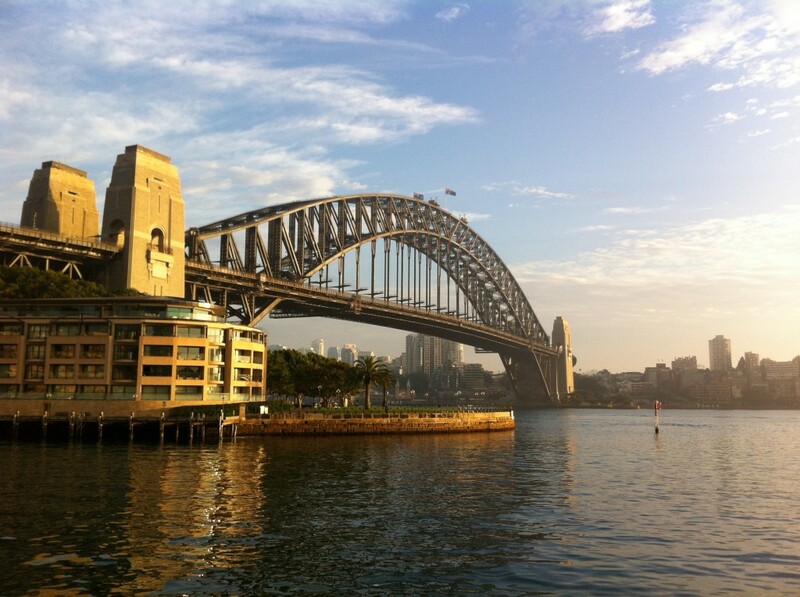 I went for a jog each morning, and one of the days took me over the bridge to North Sydney and back. Pretty fun, in spite of the lungs full of diesel exhaust from the morning commuters. The bridge opened in 1932, and is absolutely massive. You can climb up the top of the bridge or walk up the stairs inside the southeast pylon. Both are commercial operations, and cost money. I didn’t do either. Simply being on the bridge a zillion meters from the water was cool enough for me. The gardens are awesome. If you like a huge diversity of trees, plants, flowers, and birds … well, this place is amazing. 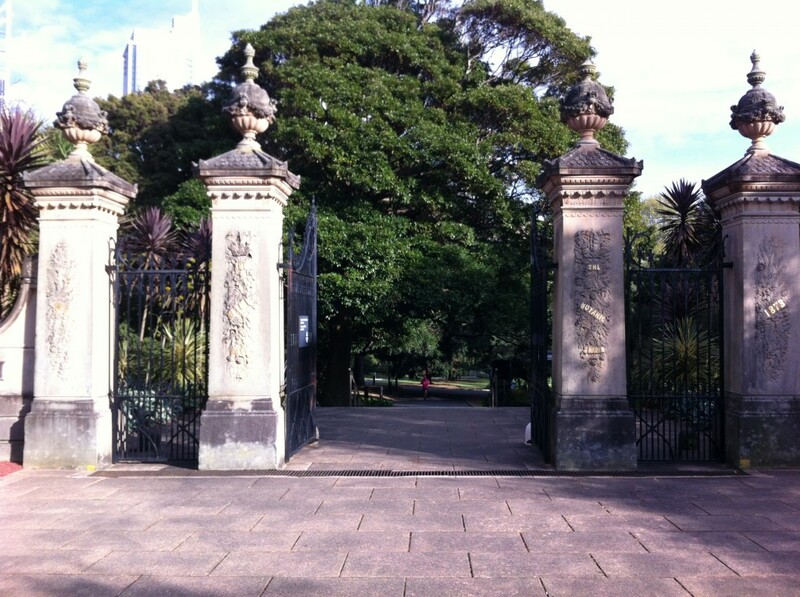 A morning jog through this would be a great way to start every day, so you Sydneysiders are quite lucky to have this in your backyard. As for the bats? Well, I never found them. I guess the campaign to get rid of them is working. My colleagues and I were lucky to get tickets to the National Rugby League semifinal match between South Sydney and Canterbury at ANZ Stadium (the olympic stadium from 2000). Not knowing either club — or the sport itself, really — I bought myself a Rabbitohs hat and cheered for the underdogs. Who got crushed 32-8, after owning an 8-4 lead early and having all of the momentum. 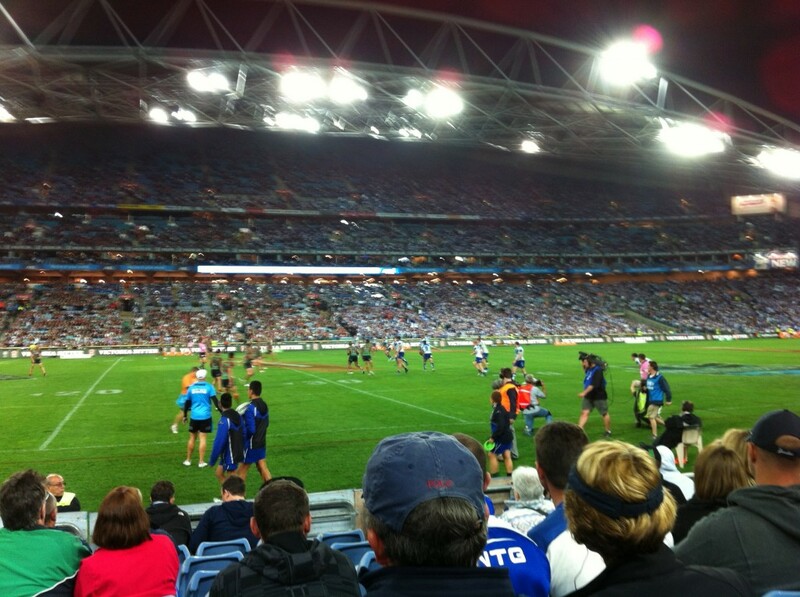 I was one of about 12 Rabbitohs supporters in the crowd of 70000. That was kind of fun. Oh Rabbitohs, you ruined my day! My kids like the hat, though. 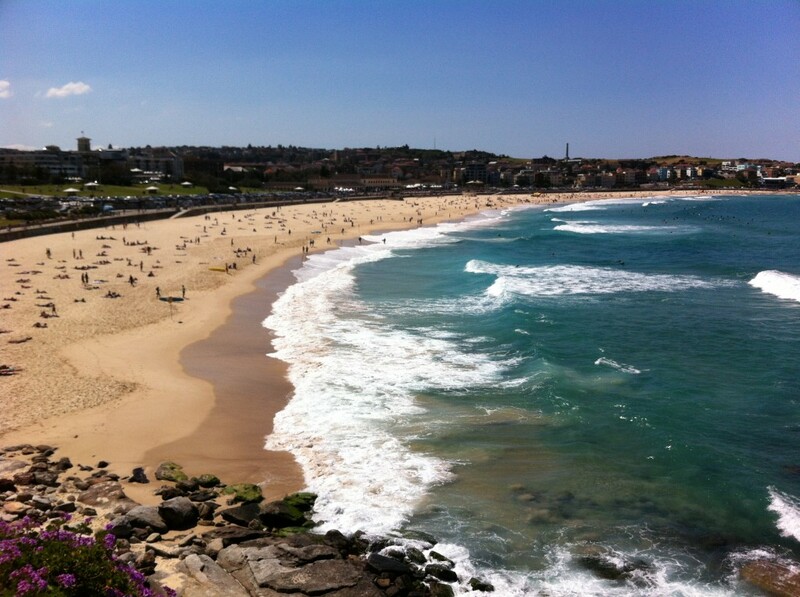 Love or hate the big city, having a beach like Bondi so close to town is pretty awesome. I spent a good part of the day there. The sand was a fine powder, great feel. Walked through the farmers market, bought a baked treat, enjoyed the heck out of it. Ate lunch with Scott (my colleague) at The Bucket List, outside and overlooking the water. Lovely way to spend a day. Took a cab (spendy) there, walked to the train station on the way back and returned to the city via train. I think I liked the cab better. 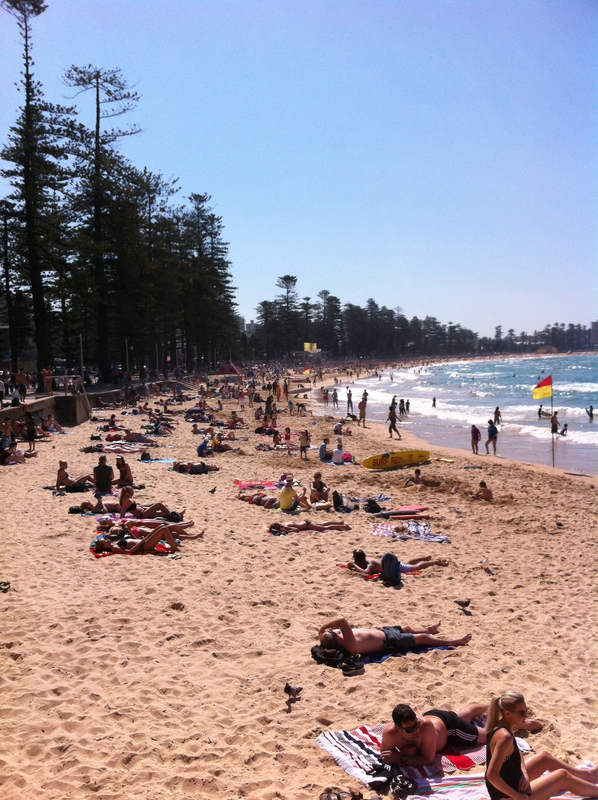 I went to Manly twice. 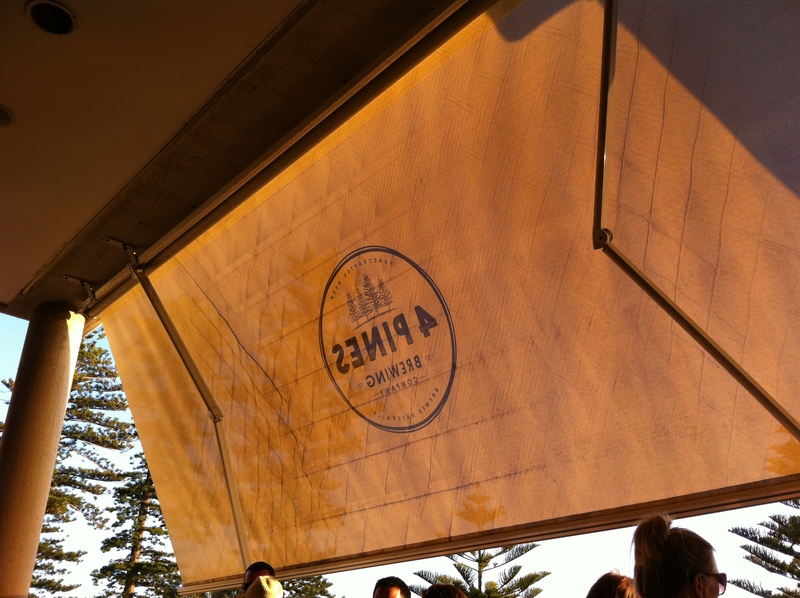 Once, on a Friday evening, and had drinks at 4 Pines Brewing (awesome!) and pizza at Hugo’s (double-awesome). It was dark, and I didn’t get to see the town or the beach. So I returned on Sunday. Along with all of Sydney, I think. The place was crawling with people that day. But, as I carved my way through the crowds, I was able to see enough of the town to get a feel for the place. Lunch at BenBry Burgers took all of the pain of the crowds away. I walked along the beach and found Shelly Beach tucked away from the hustle and bustle. That looked like a good place to spend a day. 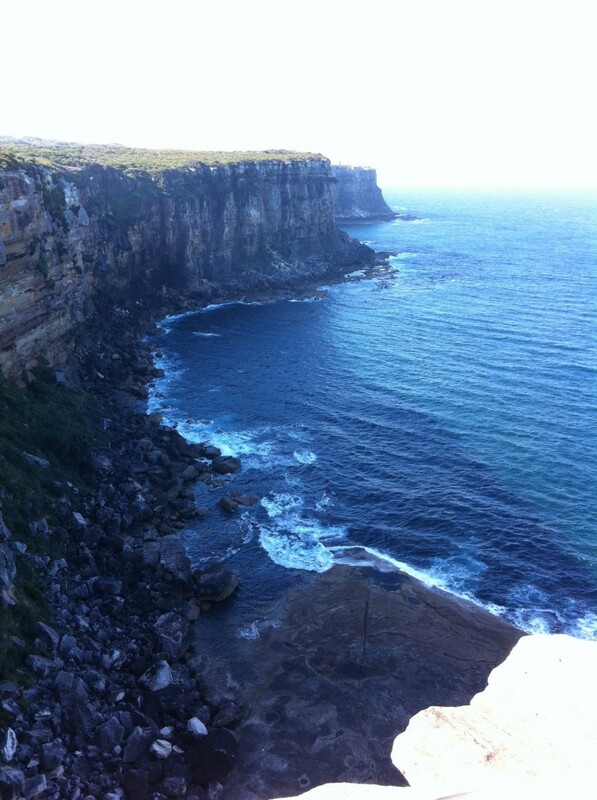 However, my goal was beyond Shelly Beach — Sydney Harbor National Park, which has a trail system that begins just above the beach. 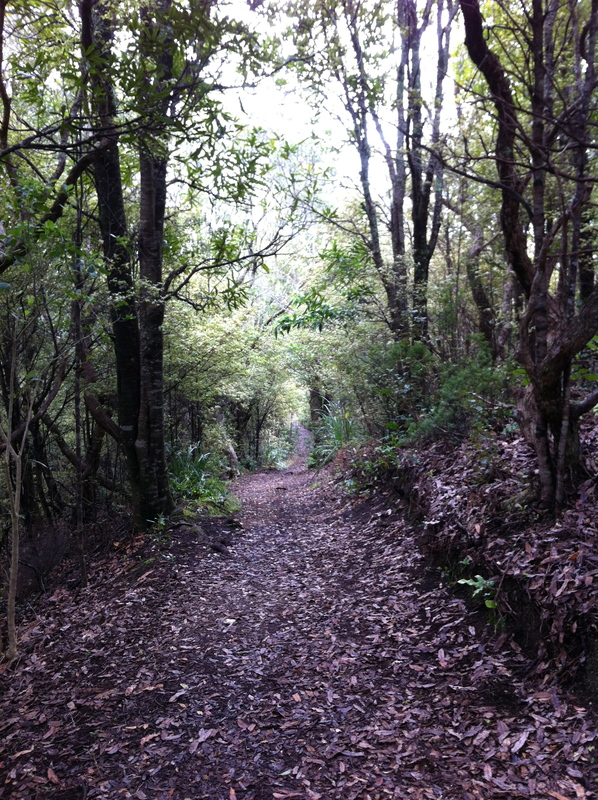 I walked all over these trails throughout the day, and made it to the headlands overlooking the cliffs before turning back and taking the trails back down the hill to the Manly town center. Another trip to 4 Pines Brewing capped off the day. The special Märzen was a winner. It’s possible I may have ordered a second pint. Manly is a 40-minute ferry ride from Circular Quay, or take a bus or cab. Take the ferry. Cheap and easy. 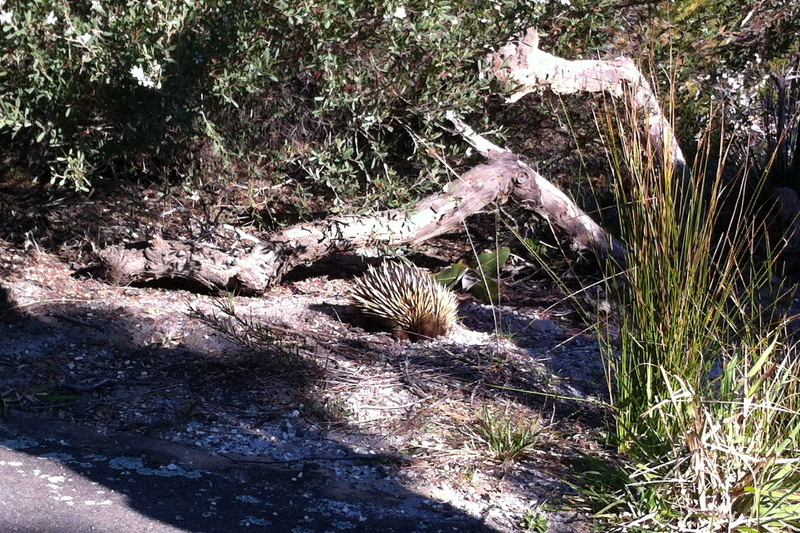 Oh, and I saw an echidna! 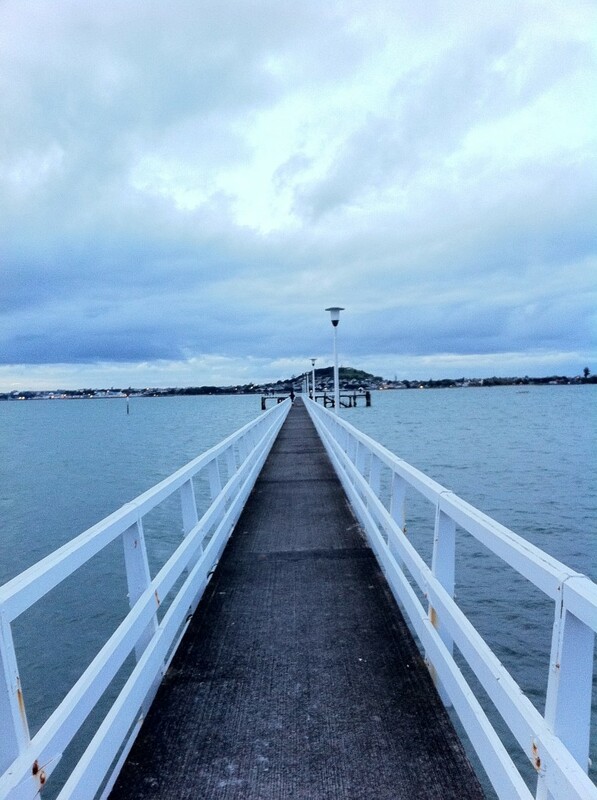 In Auckland, my hotel was on the water — literally. Built on a pier jutting into the harbor. Oddly, also right next to the ferry terminal, as in Sydney. The weather was not quite so nice … maybe high 50s, overcast, and occasional drizzle. Just like home! My schedule was much tighter in Auckland than in Sydney, so I saw less. But I still had a great time, and my colleagues there helped me make the most of my visit. A couple of evening jogs got me out on the harbor, which was very pretty. I ate at Tyler Street Garage (hipster hangout, great pizza and beer), Degree (low key, diverse menu and beer), L’Assiette (only got as far as coffee and pastry), and Mexico (lamb & mint quesadillas … yum). 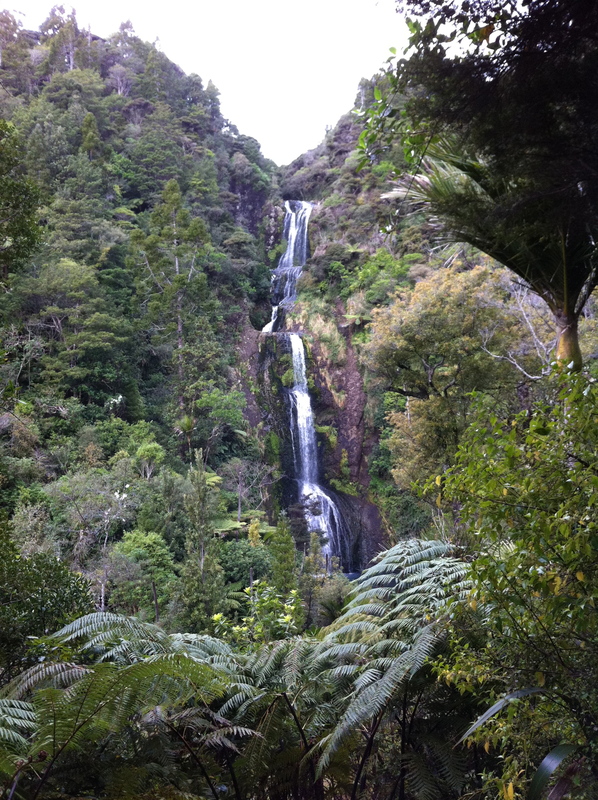 My colleague Tim took me to Piha, and we hiked to Kitekite Falls. Very cool. I really enjoy hiking, and this was a great little walk with a nice waterfall reward at the end. Learned about the native plants and trees, in particular the silver fern — which I recognized to be the symbol used by the All Blacks. A young volcano in the middle of the harbor? I’m there. My colleage Serge recommended this (as did others), and I enjoyed the heck out of this. My schedule was a bit tight, and I hoped to be able to hike to the top and back in the 3-hour window between ferry visits. The literature suggested this might not be possible, but I tried it anyway. I power-walked and ran up it in 45 minutes. 🙂 Left me plenty of time to take in the vista, and leisurely stroll down. Didn’t get a chance to visit the lava caves, which probably didn’t matter since I didn’t have a flashlight. Thanks to Sarge for the geographical reference. 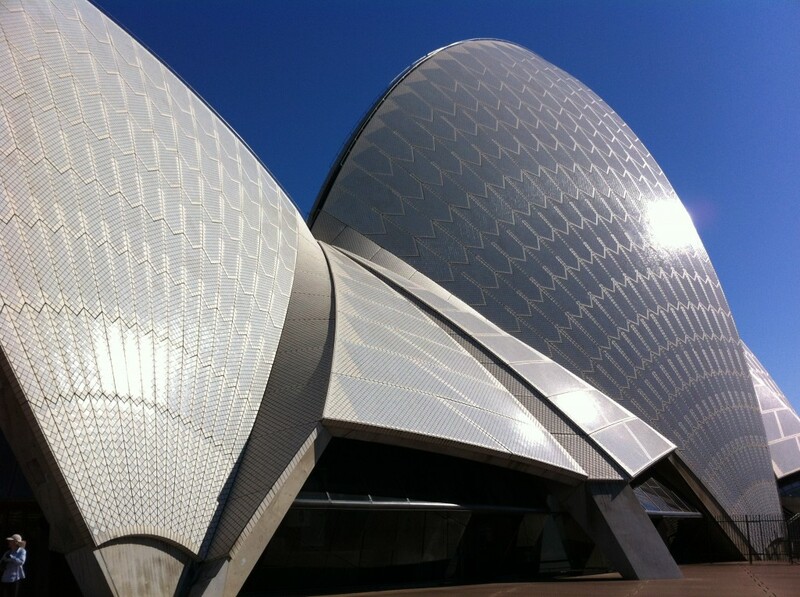 Sadly, in Sydney, I was unable to locate 42 Wallaby Way, and no indication that P. Sherman lives or works there. I blame the iOS 6 maps app. Awesome wrap-up and up’d my jealously rating by 10 points. You should sell this as an advertisement for the iPhone camera. Pics are great. Brian. Really enjoyed the pic and commentary. I’ve always wanted to see these places. Thanks for sharing.